Spin and Win hit the scene in 2011, an offering from Daub Alderney Ltd who are part of the Stride Gaming Group. Daub Aldernay operate a number of online casino’s and bingo sites, and their vast experience in the market is clearly on show at Spin and Win. 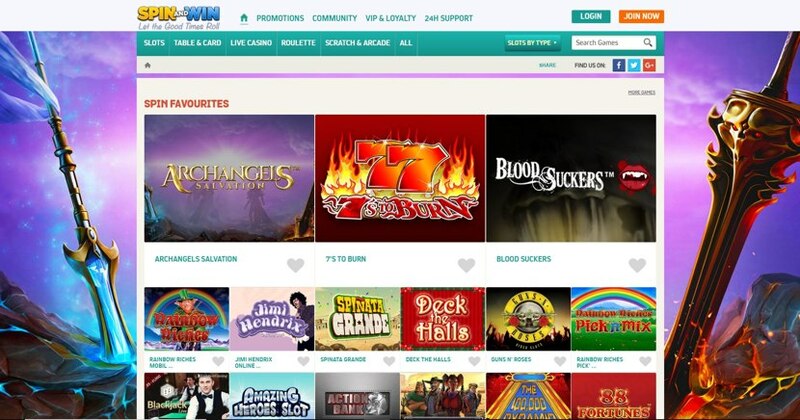 With a light hearted, playful and almost bubblegum feel, the site might not appeal to more ‘serious’ gamblers, but it’s a dedicated online casino showcasing more than 700 games in total, with a focus on slots. The majority of these games are available on desktop, mobile or tablet, and include some exclusive proprietary titles such as The 3 Panditos and Groovy Revolution. When you consider that there is genuine 24 hour support available as well, Spin and Win cannot be ignored or brushed aside as an also ran. There have been some grumblings among the online gambling community concerning sluggish withdrawal times, but nevertheless, if you are looking for somewhere specifically to play online games, especially slots, then this could be a real contender. 100% up to £500 on first deposit +100 spins, 50% up to £250 on second deposit & 50% up to £250 on third deposit. Minimum deposit is £20 (Neteller not eligible) wager 30x deposit+bonus amount to withdraw in 14 days. Free spins awarded 20/day over 5 days, can be used on most NetEnt slots, expire after 7 days if not used, wager any winnings 25x in two weeks to withdraw. Maximum winnings £500 per bonus. With a list of games as long as my arm (and I’ve got long arms) it would be impossible to talk about all of them, but rest assured that many of the biggest names in online gambling can be found at Spin and Win. Daub Games Ltd, of course, provide the exclusive content, with Novomatic seemingly being the teacher’s pet of the other providers, which include; IGT, Microgaming, Play ‘N Go, NetEnt, and Bally. Told you they were big. The site itself is pleasingly laid out and works well. It’s not as stylish as can be found elsewhere, but then again, it’s not trying to be, and whilst loading isn’t always a perfectly smooth experience we certainly couldn’t accuse it of being lethargic. The interface is lively but never in danger of becoming obnoxious – there are very few adverts for example – and there’s not much chance of getting lost in a maze of option bars and menu lists; you can pretty much access anything from anywhere on the site. If you have a favourite game you can find it via the search bar (then add it to your favourites list), or, if you aren’t sure what you want to play next you can narrow down your search in a couple of helpful ways; Features (Bonus rounds, Tumbling reels etc), Paylines, Themes (Animals, Pirates, New Games etc), and Publisher – although that last one is no use unless you like Novomatic games, as they are the only publisher listed. This is really useful if you are feeling indecisive, plus, each game has a little bit of intro text to assist you further before you load it up; like the tasting notes of a fine wine if you are happy to go with that analogy. Slots – You could truly get lost for days playing through the 300+ slots on offer at Spin and Win. The range is huge and the providers instill confidence. Try something new like Hugo Goal or The Poke Guy, or go for one of their featured suggestions such as The Phantom of the Opera or Guns N Roses. 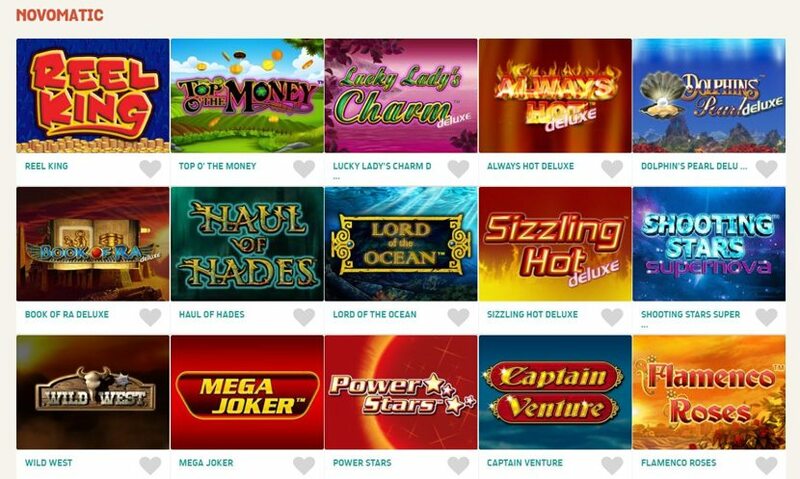 Jackpot – They might not all reach the dizzying six figure heights you can find elsewhere, but there are 62 good jackpot games on offer at Spin and Win, and from a variety of providers too. King of Cash or Cosmic Fortune? Your call. Live Games – They might be predominantly a Slots focussed casino but they don’t half pack a punch when it comes to live games. Chat with other players at the table while enjoying one of 35+ live games, covering Roulette, Blackjack, Poker and Baccarat. Roulette – Roulette fans can enjoy 11 variations, including Monopoly Roulette Tycoon and Double Bonus Spin Roulette. Table and Card – There are around 25 games to choose from here, with Double Exposure Blackjack sounding the most risqué to us. 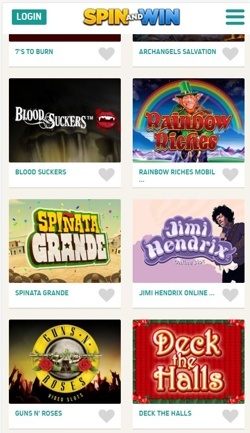 Scratch & Arcade – If you want something quick and easy you will be pleased to know there are almost 60 games in this section, powered by the likes of NetEnt, Realistic Games and Scientific Gaming, with Golden Boot 2018 and Harley Davidson being our picks. There is another nice little touch that we wanted to mention: if you select a category (Table and Card games, for example) at the bottom of the page there is some info on the category and even a bit of history and trivia. Ok, so this is where we have heard the most negative feedback, withdrawal times being the chief complaint. Let’s be clear though, there is no suggestion of any wrong doing here, everyone gets their money, it can just be a little slow. These days, if a casino isn’t also available via mobile you might assume there was something wrong with it. Well, Spin and Win’s site is optimised perfectly for gaming on the go, and while it may be a little less interesting to look at (the mobile site is fairly plain) it remains just as fluid in terms of navigation, and you will find most of what’s available on the desktop site is also available via mobile, including the live games. They have made a smart decision by keeping things simple; you are either looking at a game selection screen, or you are looking at a menu which in turn takes you to the game selection screen for the category you have chosen. It is more like an app than a mobile site in many ways, which is probably why they don’t feel the need to build an app. You can access the menu at any time and other than that it’s just a case of loading up your favourite game and give the reels a spin. As we mentioned, Spin and Win hit the internet in 2011 with their slogan “Let the good times roll”. The good times have certainly been rolling for them, as in a relatively short space of time they have become a first choice casino for tens of thousands of players. As one of the brands under the Daub Aldernay Ltd umbrella, Spin and Win are licensed by the UK Gambling Commission, and with a rare mark of ‘A’ no less for taking ‘the extra steps towards customer service and player protection’ – not our words, the words of the UK Gambling Commission. They marketed the company successfully both via television adverts and sponsorship deals, most famously signing a deal to become Bolton Wanderers shirt sponsor for the 16/17 season. It went well for Bolton who were promoted, but the sponsorship deal was not renewed. Things have died down recently in terms of high profile marketing, with no sponsorship deals to speak of and the last TV commercial airing at the end of 2015. When they say 24/7 support they mean it. Phone, E-mail and live chat are all options you can use at any time of the day or night, and there will be someone from the team on hand to help you out. The members of the support team that we spoke to were courteous and friendly and we were answered in live chat immediately every time we used it. Of course, you might find it just as easy to start with the FAQ section, which is mercifully simple to read through, and links to the relevant part of the site for the subject you are enquiring about. The FAQ’s, T’s and C’s, Banking pages etc can all be found neatly tucked away at the bottom of each page. Live Chat – You have to go looking for it but not too hard. Select 24H Support and you will find the Live Chat option in there. 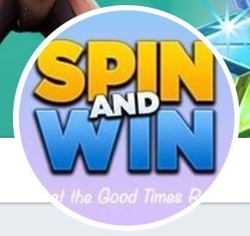 @spinandwin – Not officially a contact method but they are active and post promotions and competitions etc.